Congratulations to all of our June giveaway winners! Karen Ranzi is a leading expert in the field of nutrition and child development, with over 15 years of experience. 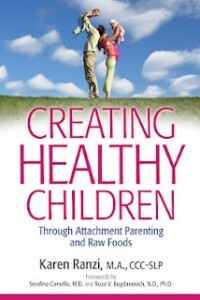 Her book, Creating Healthy Children, Through Attachment Parenting and Raw Foods, is an informative, and empowering book; giving you all the knowledge you need to raise healthy and emotionally supported children. You can purchase your own copy of Creating Healthy Children by Karen Ranzi at Super Healthy Children for $24.95 excluding shipping, or the Kindle ebook version is available on Amazon for $9.99. Just for Natural Parents Network readers, Karen is offering a 20% discount off her book at her site for the duration of the giveaway. Simply email karen@superhealthychildren.com and reference NPN to receive your discount. Like Creating Healthy Children on Facebook. Subscribe to the Super Healthy Children newsletter on their website. Check out the Super Healthy Children Blog. “This Milk Tastes Good” is written by Chenniah Patrick and illustrated by her husband, V. Kuroji Patrick. This children’s book features a black family which consists of a mother, father, and baby. Like JhaZamorS Publishing on Facebook. Follow JhaZamorS Publishing on Twitter. 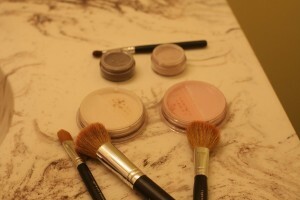 Like Everyday Minerals on Facebook. Follow the Everyday Minerals News.